Research and Reports in pulmonology is an open access, peer-reviewed journal that considers articles relating to all aspects of pulmonary research and its therapeutic care. 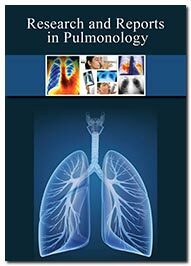 The journal provides an all-inclusive overview of the fundamental and translational aspects of pulmonology. Research and Reports in pulmonology dispense a new foundation for the researchers, physicians, scholars to share their valuable and authentic articles in this field and update the current research information to the scientific audience. The scope of the journal covers basic and clinical research in all the areas of the pulmonary and its associated disorders. It encourages original research, reviews, concise communications and case reports related to the epidemiology and pathophysiology studies, as well as its diagnosis, prevention and management. All the submissions to the journal are subjected to the rigorous peer-review process whilst maintaining the quality and significance of the journal.